AFC Wimbledon have signed defender Kelly Youga on a short-term deal. 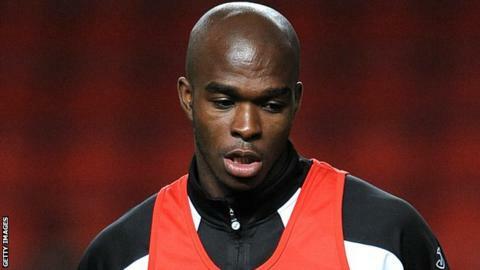 Youga, 27, had been available on a free transfer since his release from Championship side Ipswich in January. Central African Republic international Youga, who failed to appear for the Tractor Boys in his short spell there, has not played a match since last January while at Yeovil. "He came in and trained with us last week and looked very good in training," boss Neal Ardley told the club website. The exact length of Youga's deal at Kingsmeadow has not been revealed, but Ardley believes his new signing can help the Dons as they look to avoid relegation from the Football League. "We feel that he will be a big plus for us during the final stages of the season," he commented. "Kelly had a bad injury a few years ago when he was at Charlton, and he was at Ipswich earlier this season, mainly as cover, but he was released in January. "We have signed a player who was playing in the Championship at his peak so hopefully he can bring that experience for us."